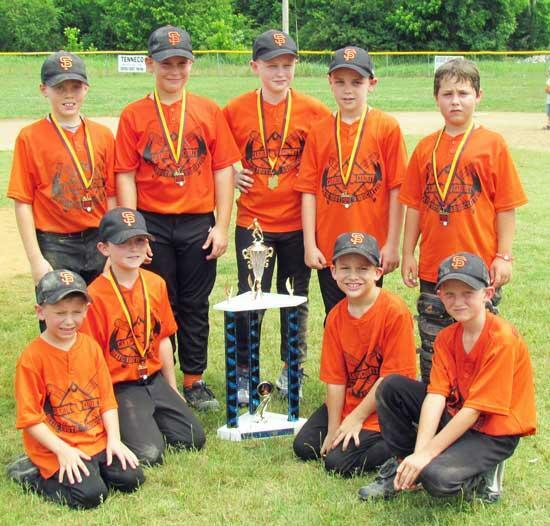 The Giants baseball team in the Minors division took first place in regular season and first place during tournament, losing only one game during the season. Back row left to right: Branden Schwartz, Jacob Raines, Gabe Elrod, Brandon Miles, Reese Smith. Seated left to right: Hunter Harris, Garret Alexander, Jackson Simmons and Wyatt Crawford. Congratulations Giants on a GREAT season!!! So proud of all of you!